Genealogy: Pedigree collapse, we are all cousins. Many of our ancestors are repeated in our family tree. 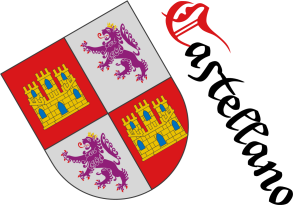 Many historical figures (philosophers, scientists, writers, artists, kings, warriors, etc.) will appear in our family tree. We share many ancestors with others, we are all cousins, we are a great family. I have painted the following graphic to show this idea. 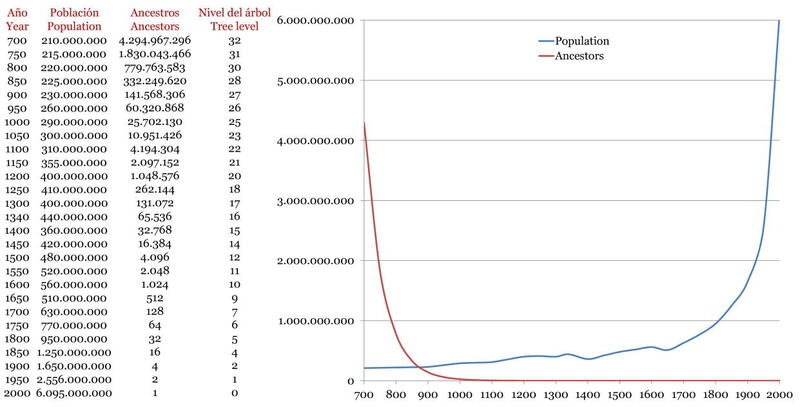 Traveling to the past we see the number of our «theoretical» ancestors grows and the world's population decreases. The graph is calculated with 2.46 generations per century, and with other rates although the graph changes but the previous conclusions remain. For example, with 4 generations per century, more real rate time ago when we had children at an earlier age, the curves intersect before. If it is done by continents and/or adding the lines without offspring, the high infant mortality and pests of past times,... the curves also cross before. To this effect is called «pedigree collapse».